I love exploring local gems. Last summer I gave some love to a few local businesses that made my heart sing, like this one and this one and this one. During the school year I rarely have time during 'regular business hours' to visit local businesses. It's one of my favorite things to do, and sadly I often fail to make the time to do so. 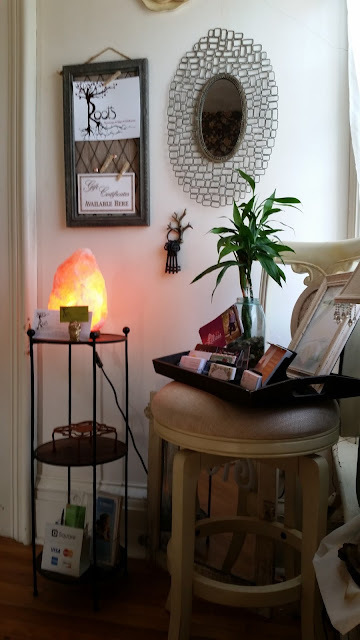 A couple months ago a massage and yoga studio opened in our downtown area by the name of ROOTS Massage, Yoga, and Wellness. Before this there wasn't a yoga studio in the area (weird, right?!) and only a couple spas to get a massage. 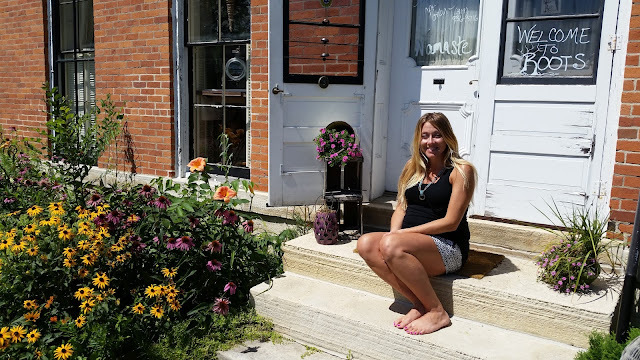 I stopped by last Monday morning to hang out with owner Cassie Willits and check out her space. We'd exchanged a couple Facebook messages about urban farming and connecting with nature, but I'd never met her in person. 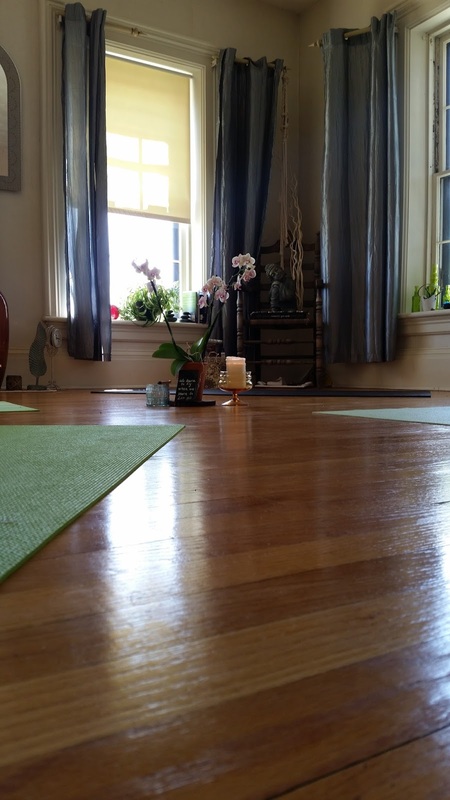 As a yoga and meditation newbie, I wanted to learn more about her biz. Little did I know I would leave feeling like I gained a new member of my tribe. ROOTS Massage, Yoga, and Wellness was formerly located in North Liberty, but when the opportunity to relocate the space to the historic McGowan House in Marion presented itself, Cassie jumped. Before she even saw the space, she was looking for a cozy, home-like environment for her massage studio. 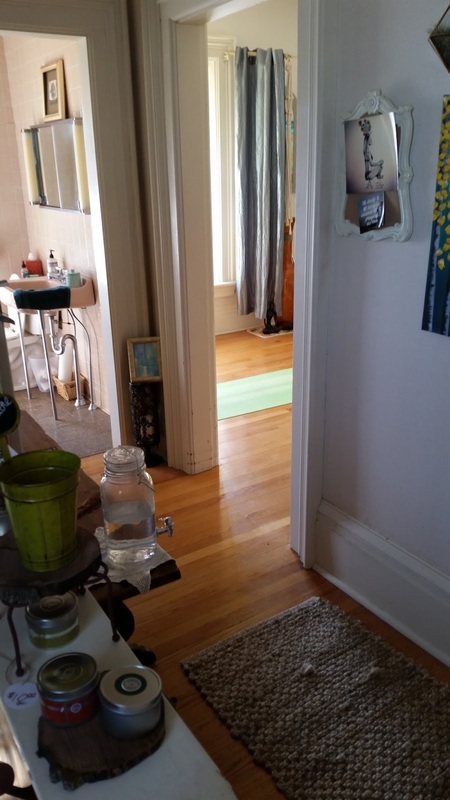 When she walked through the door of the upstairs (which used to be Mrs. McGowan's apartment quarters) she immediately felt a great energy and knew this was meant to be. 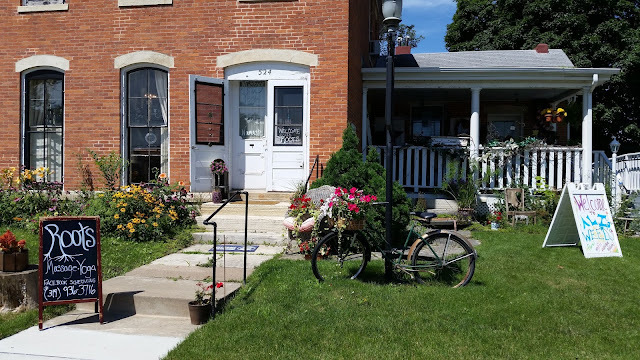 When Mrs. McGowan lived in the upstairs, her two friends lived in the apartments downstairs, which now is home to Ali's Weeds Floral & Gift Boutique; the entrance off the porch to the right of the ROOTS entrance. John and I love old homes; our home was built in the 1800s in fact. So we like how the McGowan house a beautiful, quality built home. The City of Marion actually owns it and set it aside for commercial purposes to maintain the historic integrity of the building. 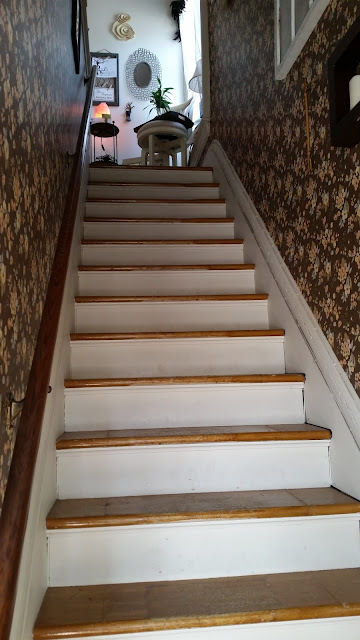 Cassie said there will be improvements to the house, including new windows that will still have a historic look but will be more energy efficient. There are a few stairs leading up to ROOTS, but just like Cassie said, the energy in this building is amazing. 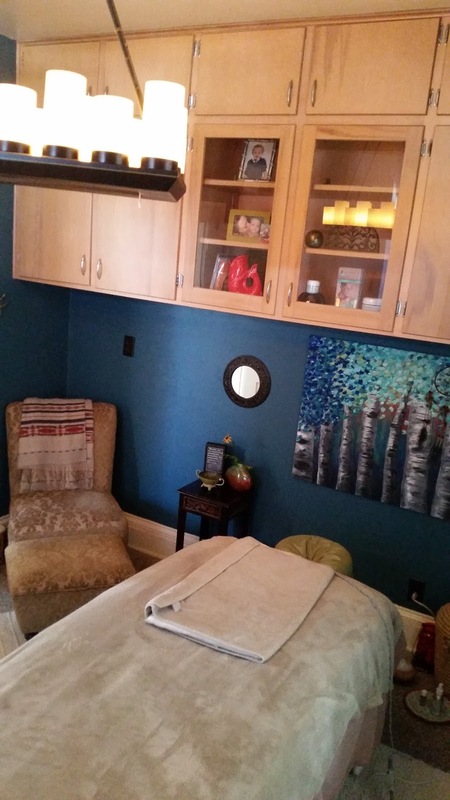 Cassie started her work in massage therapy a few years ago, including massage and pain management support for cancer patients at the Hall Perrine Cancer Center. It was while working there that she first noticed the disconnection among the mind, body, and spirit. She was seeing her massage therapy work support healing for cancer patients, but began thinking more about how yoga could also help people feel whole, healed, and at peace. She maintained her studio in North Liberty for a while before moving to Marion earlier this summer. 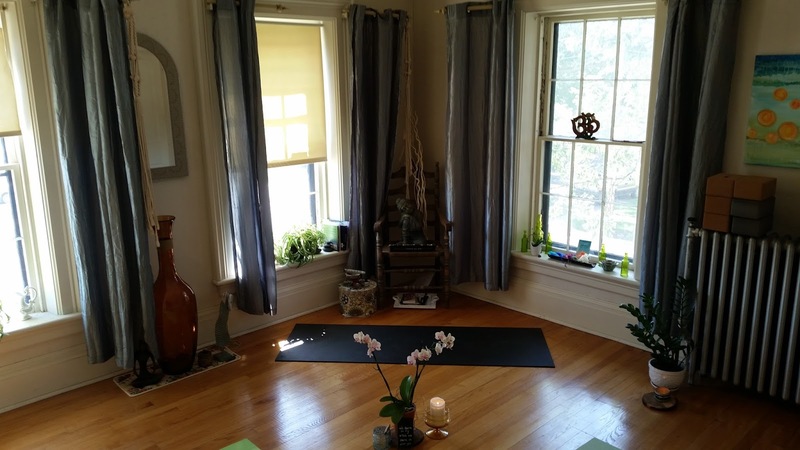 Her new space allows yoga and massage clients to nurture the mind, body, spirit connection. 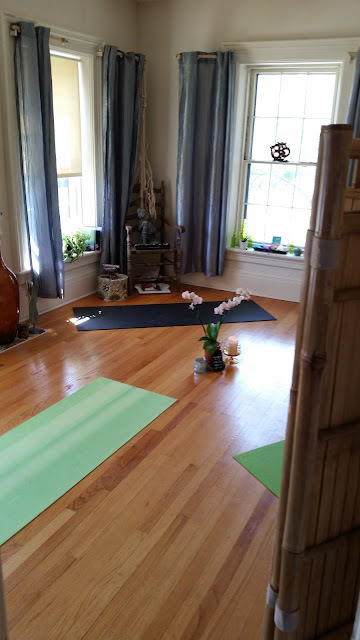 The difference between ROOTS and other large yoga studios? 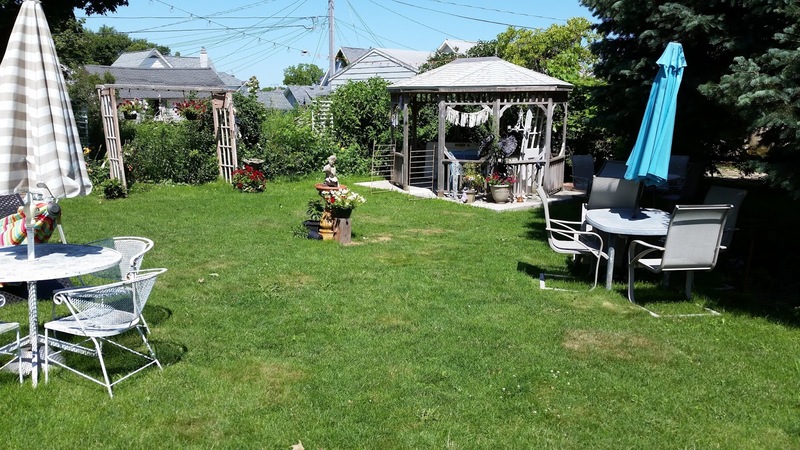 ROOTS is a cozy, warm, personal space focused on small group and outdoor yoga, as well as catering especially to beginners. "Comparison is the thief of joy," she said. "There's no comparison here." 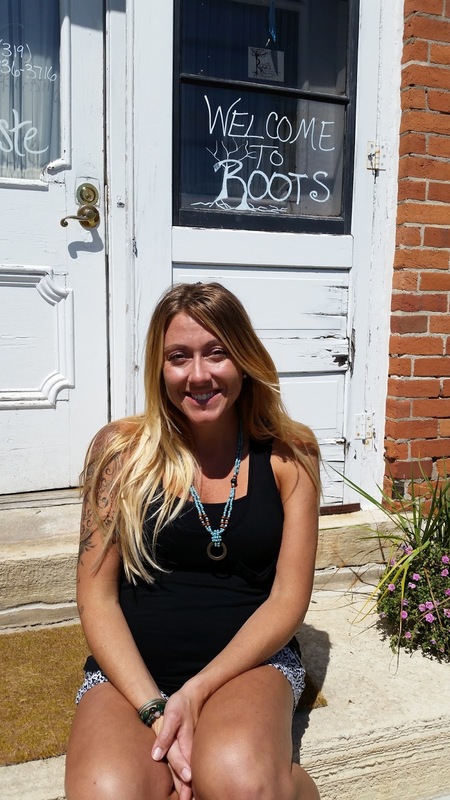 Cassie is yoga and guided meditation certified, and teaches students to be present, mindful, grateful, and to experience peace in nature. Education is a huge component of her practice. I am really looking forward to taking a couple yoga classes with Cassie as I become more comfortable and skilled in my practice. This was Mrs. McGowan's kitchen in her upstairs apartment. 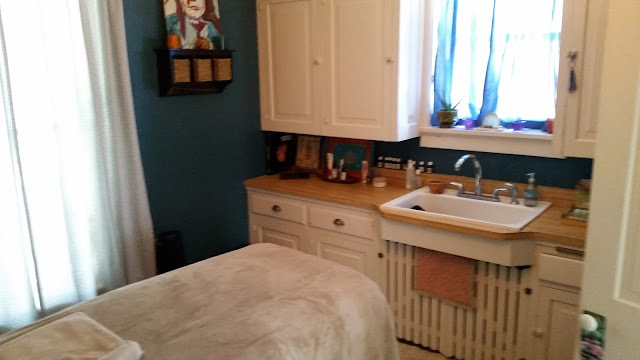 I think it suits a massage room very well. Keep your eye on ROOTS. In addition to regular yoga classes, massage, and outdoor "grassana" yoga, she filled me in on some new adventures coming to the Marion area. Cassie has a Yoga Girls Club for girls age 8-12 and 13-17 years old coming in 2016, as well as teaching breathing, meditation, and yoga in local schools. She will also be launching a Women's Yoga Book Club and rooftop yoga events with Healthy Girl Bakery owner Stephanie Neighbor in the Philip's Diamond building. 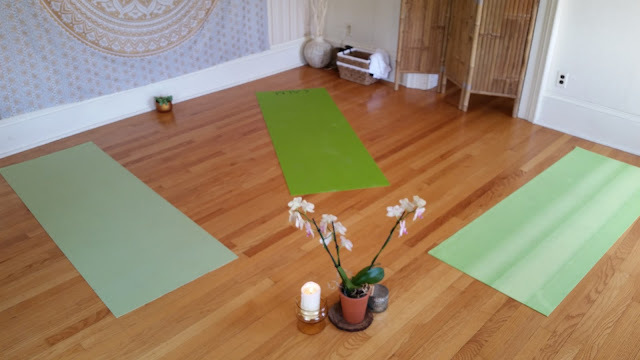 Sometime in the spring of 2017 Cassie hopes to offer weekend and day yoga retreats in the area. Do you practice yoga regularly? What about massage? Tell me about your experiences! Yoga is one such fitness method for a healthier life. Thanks for sharing this content here. Keep in mind the parentage of water in your body. Because the size of our body falls due to lack of water. Yoga Teachers at Yog Gokul have re-defined and re-invented the modules to be included in our teachers training program. The modules have been carefully drafted as per our teachers’ rich experience of several years of teaching yoga and knowledge gained after completing their own Yoga Teachers Training Course from India’s most renowned schools. Our senior teachers come from various schools of yoga like Idea Yoga, Rishikesh Yogpeeth, Iyengar and Ashtanga. We have integrated their wealth of knowledge and rich experience into all our curriculum to make it more accommodating to suit different body types. Having teachers from different lineages ensures that our graduate yoga teachers can tackle all kinds of clients rather than being restricted to a single perspective.